Johnson Bros. was founded in 1883 by two brothers Alfred and Frederick Johnson. 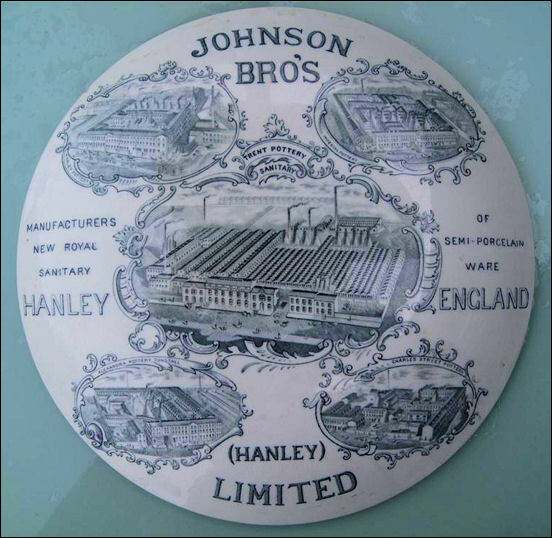 In 1883 Alfred and Frederick Johnson began production at a defunct pottery known as the Charles Street Works they had purchased at a bankruptcy sale in Hanley, Stoke-on-Trent. At first they specialised in the manufacture of durable earthenware which they called "White Granite". The success of this venture led to rapid expansion. In 1888, Henry Johnson joined them, followed ten years later by a fourth brother Robert Johnson. 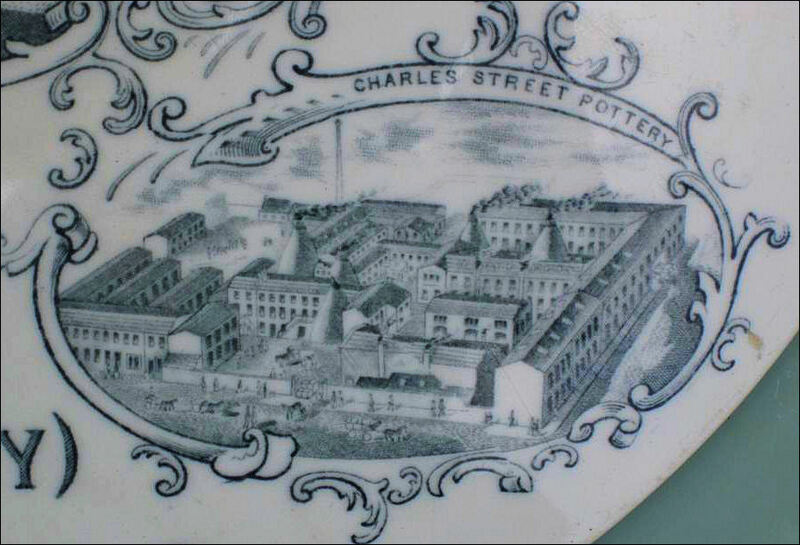 The Charles Street Pottery was their first works they purchased it from J Pankhurst who was bankrupt. This was the only works that they had that was previously in business - the other four works were purpose built for them. During the 1930s the original factory in Charles Street closed and new technology was introduced with the development of modern systems of firing using electricity rather than coal. The remaining four pottery works continued in production and by the mid 1940's they were probably the largest firm of earthenware manufacturers in the world. 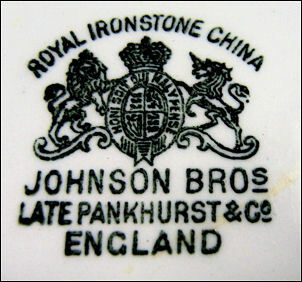 In 1968 Johnson Brothers joined the Wedgwood Group. The Johnson Brothers began production at the Charles Street works in 1883 - this works is long demolished and the site on the edge of Hanley town centre is a shopping arcade and a WRVS centre. 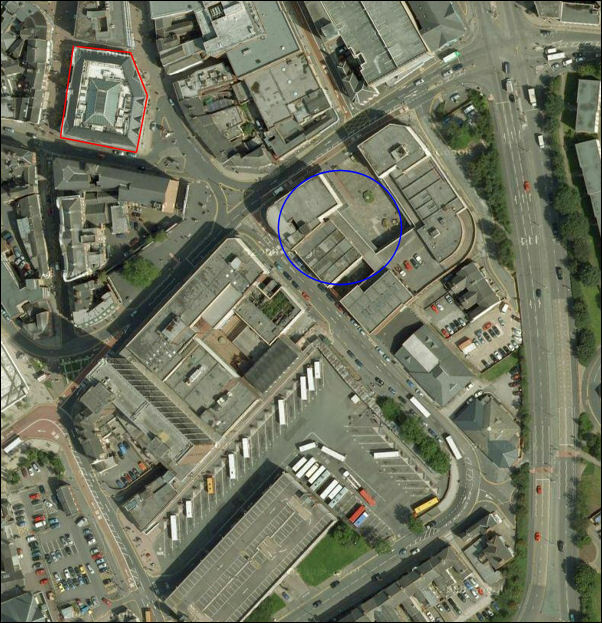 the loaction of the Charles Street Pottery on the edge of Hanley town centre is now a shopping arcade and a WRVS centre. 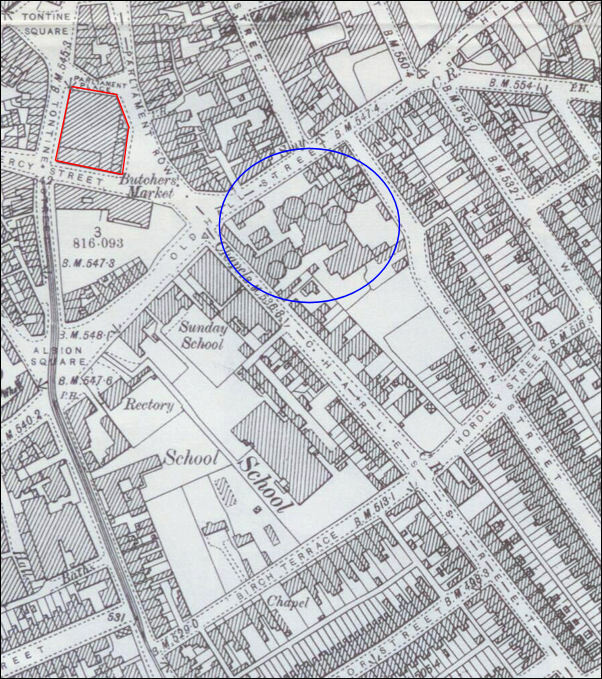 Hanley in detail - In the late seventeenth century, Hanley consisted of two small hamlets known as Hanley Upper Green (or just Upper Green) and Hanley Lower Green (or just Lower Green). Upper Green at the junction of Town Road and Keelings Road and Lower Green where Market Square is today.